Smartphones, which didn’t really exist 12 years ago, are now dominating the tech world. That’s the underlying message delivered at the World Mobile Congress (WMC), kicking off today in Barcelona, Spain. The show, comparable to Las Vegas’ annual Consumer Electronics Show (CES), is a coming out party for all things mobile. An estimated 2,400 exhibitors from 200 countries will show their latest products. Technology writer Jim Harris says the show has taken on added importance recently as smartphones have dominated the tech universe. In 2018, he says 59 percent of all international technology spending was on these devices. In recent years, consumers have made the switch from PCs to mobile devices. Research shows we now spend more online time using a phone than a computer. More searches are performed from a mobile platform than from a PC. And most eye-opening, perhaps, is the fact that Android, not Windows, is now the most widely-used operating system. Harris says this year’s WMC will likely focus on 5G, the next generation in wireless technology. The first 5G phones will hit the market later this year, but sales will likely be negligible. Sales will explode, however, as providers build out their 5G networks, which Harris says will change everything. With a 5G connection, consumers will be able to download a two-hour HD movie in less than four seconds. Throughput will be up to 100 times faster than what consumers get with 4G LTE. AT&T has recently taken some criticism for branding its network “5G-E,” with the “E” standing for evolution. But critics say the branding is misleading, since it is only an enhanced version of 4G LTE service and can’t compare to 5G speed. 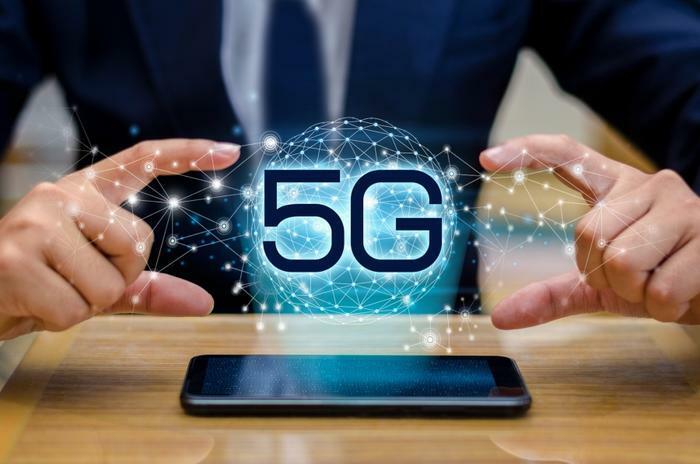 5G wireless service will also allow much higher density, with millions more connections than a 4G network can handle. That will allow billions of 'Internet of Things' (IoT) devices to be connected. Other improvements include a huge reduction in latency, the lag between when a command is issued and when it is carried out. Harris says 5G’s latency is a 50 times improvement over 4G LTE. Smartphones’ battery life will also be significantly extended because 5G is much more energy efficient than the current technology. Once the show is over, Harris says we’ll know a lot more about what’s in the technology pipeline, including the adoption of artificial intelligence (AI) in our mobile devices. Harris notes that a $1,000 smartphone now has more raw computing power that IBM's Deep Blue supercomputer of 1997 that cost $100 million, and that these phones are about to become even more powerful.